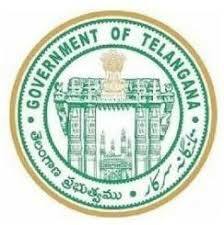 Siddipet Govt Medical College Recruitment 2018.Govt. Medical College, Siddipet has released a notification for the recruitment of Professors in different cadres in respective disciplines.Check the eligiblity and notification prior to apply for the positions. Discipline: General Medicine, General Surgery, Obg, Opthalmology, Radiodiagnosis, Anaesthesia, Anatomy, Physiology, Microbiology, Forensic Medicine, Pharmacology, Community Medicine. Qualification: MBBS, Post graduate qualification MD/ MS in the concerned speciality with teaching and research experience. How to apply: Applications may be submitted through mail or in person at O/o The Director, Govt. Medical College, Near Komati cheruvu, Siddipet, Telangana. Last date to apply: 20.8.2018.